From guest blogger Erika Gruszewski. Erika is a Syracuse native who now calls Rochester her forever-home. Recently married, Erika loves checking out local breweries and walking at Cobbs Hill Park with her husband. When she is not working as a health research analyst with Excellus BlueCross BlueShield, Erika enjoys spending time with family across the thruway. Follow her blog at ahealthierupstate.org. I was intrigued by the idea of a fast food eatery that served incredibly healthy food. That’s why I found myself on a recent Saturday with my sister at CoreLife Eatery at 100 Marketplace Drive, Suite #520, in Henrietta, Monroe County. I wasn’t disappointed. They actually served a large variety of fresh ingredients not often seen in fast-casual restaurants. They had actual whole avocados, entire ginger roots, scallions, soy beans and beets. All ingredients are free of “GMOs, trans fats, artificial colors, sweeteners and other artificial additives.” The chicken and steak are also raised sustainably and never given antibiotics or hormones. 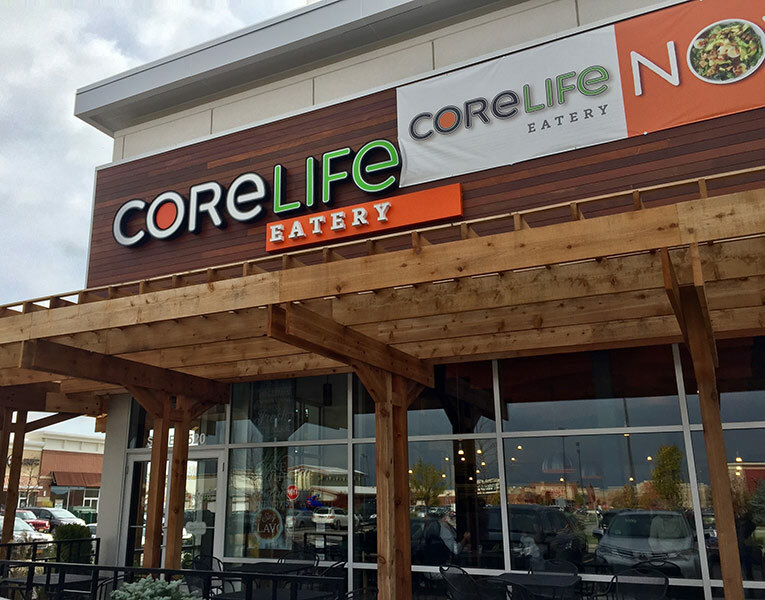 Founded in North Syracuse in 2015, CoreLife Eatery has a mission to connect busy people with healthy, organic and quick meals. The menu is divided into green bowls (salads), grain bowls, and broth bowls (soups). I loved the Chicken and Rice Noodle Broth Bowl. You could taste the freshness of the ingredients, especially the vegetables. I also liked how I actually ate freshly-cooked chicken, and not the overly-processed “chicken” served at other fast casual places. Portions are large. My sister, for example, saved half of her Thai Chicken and Rice Noodle Grain Bowl for later. I spent around $10 for my meal and drink. Considering the quality of organic ingredients and portion size, it was well worth it! I was eating my food within 10 minutes of arriving at the eatery. The speedy service would make this place a great choice for workday lunch breaks, too. An impressive assortment of freshly made lemonades with flavors such as Cucumber Basil and Cranberry Cayenne.